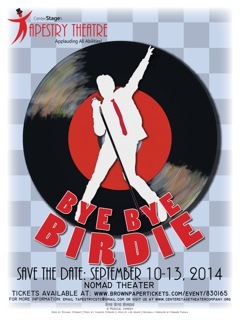 Bye Bye Birdie is a satire crafted with the fondest affection, telling the story of a rock and roll singer who is about to be inducted into the army. "An English Teacher," "What Did I Ever See in Him? ", "Put on a Happy Face," "One Boy," "A Lot of Livin’ to Do," "Kids," and "Rosie" are musical theatre classics. This is the tops in imagination and good old-fashioned fun. A fabulously fun international award-winning musical based on the adored movie, Legally Blonde, Jr., follows the transformation of Elle Woods as she tackles stereotypes, snobbery, and scandal in pursuit of her dreams. Adapted for younger performers and based on the popular movie, this show features an upbeat original score that's sure to leave cast members and audiences alike seeing pink! 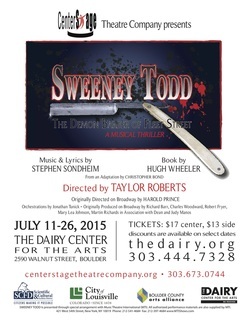 In an infamous tale, Sweeney Todd—an unjustly exiled barber—returns to 19th century London seeking vengeance against the lecherous judge who framed him and ravaged his young wife. The road to revenge leads Todd to Mrs. Lovett, a resourceful proprietress of a failing pie shop, above which he opens a new barber practice. Mrs. Lovett's luck sharply shifts when Todd's thirst for blood inspires the integration of an ingredient into her meat pies that has the people of London lining up, and the carnage has only just begun! 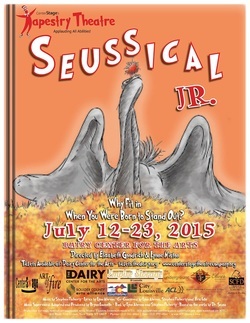 Transporting audiences from the Jungle of Nool to the Circus McGurkus, the Cat in the Hat, our narrator, tells the story of Horton, an elephant who discovers a speck of dust containing tiny people called the Whos, including Jojo, a Who child who gets in trouble for thinking too many "thinks." Horton's challenge is twofold - not only must he protect the Whos from a world of naysayers and dangers, but he must also guard an abandoned egg that's been left in his care by the irresponsible Mayzie La Bird. Although Horton faces ridicule, danger, kidnapping, and a trial, the intrepid Gertrude McFuzz never loses faith in him. Ultimately, the powers of friendship, loyalty, family, and community are challenged and emerge triumphant!